The Mint’s sustainability program reduces the Mint’s energy, water and material usage at each of its facilities. 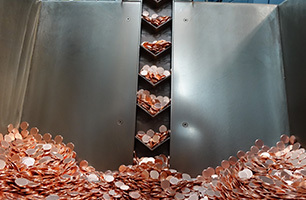 The Mint offers free tours of the Philadelphia and Denver facilities, which cover the present state of coin manufacturing and the history of the Mint. 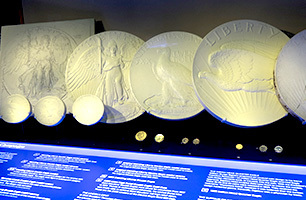 Visitors learn about the craftsmanship required at all stages of the minting process, from the original designs and sculptures to the actual striking of the coins. Sales counter at headquarters in Washington, D.C. Current hours: 10 a.m. to 5:45 p.m., Monday through Friday. Closed federal holidays.